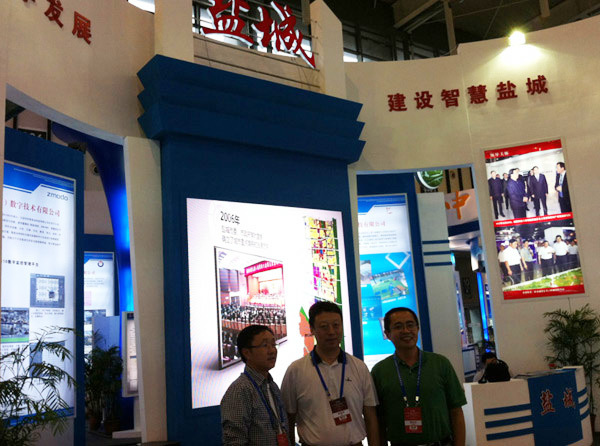 On September 5, 2013, Zmodo Technology Jiangsu Corp. Ltd was invited to attend the 9th Expo of China International Software Products and Information Service which was held in Nanjing city, Jiangsu Province of China. Vice President of Zmodo Group Dr. Wan Kejia attended the Expo, together with Director Wang of Economy and Information Committee of Yancheng city and Mr Lai of Yancheng Project Director of Zmodo Group. Committee of Yancheng city , and Lai Jianjun of Yancheng Project Director of Zmodo Group. The products exhibited by Zmodo group was IMS（Intelligent Management System）. It’s intelligent management software which can combine all these smart functions together such as multi-window, multi-user, multi-language & voice intercom, electronic map, alarm control, log retrieval, remote playback and intelligent analysis and so on. It will be applied to the front-end equipment in centralized monitoring, centralized storage, data forwarding, central management and control. The IMS platform will make intelligent management come true. 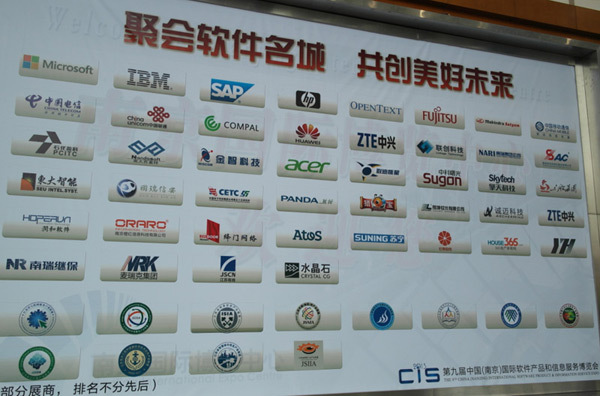 This photo shows many well-known enterprises attended this expo.